Image: Elle. Report submitted by reader Damon Delaney. Nagata used a backdrop hold for the finish. He was very popular and playful, while Owens was very much a heel. There were big boos for the finish, but Suzuki and Rock got a lot of love from the crowd. Rock is local to Adelaide. There was a five-minute break to fix the bottom rope after it had been taken off when Suzuki and Rock were fighting/rolling over the top of it. Cody hit the Cross Rhodes to win. He was super popular, so they had Romero play the bad guy. There were big chants of "We want Brandi" from the audience. There was also a "Thank you, Cody" chant after the match. He gave a speech thanking the crowd and singled out Bad Luck Fale as the person who put the tour together, even asking that the audience gives Fale more love than they've given anyone else. Omega pinned Henare after the One Winged Angel. Omega was the most popular person in the match, but there were lots of "Thank you, Fale" chants. Both Gambino and Robinson also received an abundance of "Juice" chants. After the match, Omega spoke about this being a night of firsts and closed the promo by saying goodbye and goodnight. Both teams had lots of fun and played to the audience in this one. White got the pin after hitting the Blade Runner. He was the beloved fan favorite, with Sexton responding with plenty of hate towards the crowd. Okada hit three Rainmakers on Matt Jackson before pinning him. Okada got possibly the loudest reaction of the night. The Young Bucks were very popular, but the love for Okada was immense. 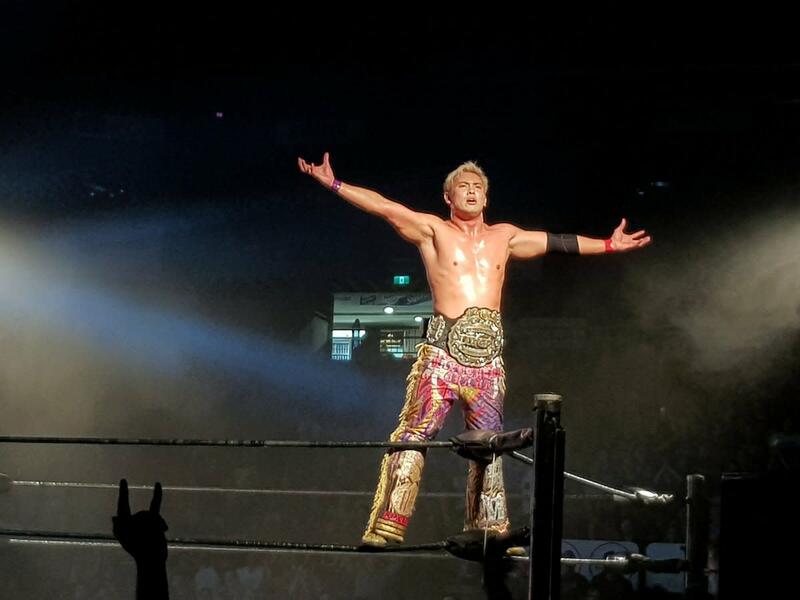 Okada finished the night by asking the fans how they enjoyed the show, which got a big cheer. He asked if they wanted more, with that getting the loudest "Yes" chants I've ever heard live. Okada kept playing to the fans before announcing that they'd be back with more New Japan Pro Wrestling. This was overall an excellent show, though the attendance was possibly marred by it being on the opening night of our biggest arts festival (the Adelaide Fringe) and the relatively short time from when the show was announced to when it took place.